On February 16, 1818 the New England Glass Company was formed with Demming Jarves as agent. 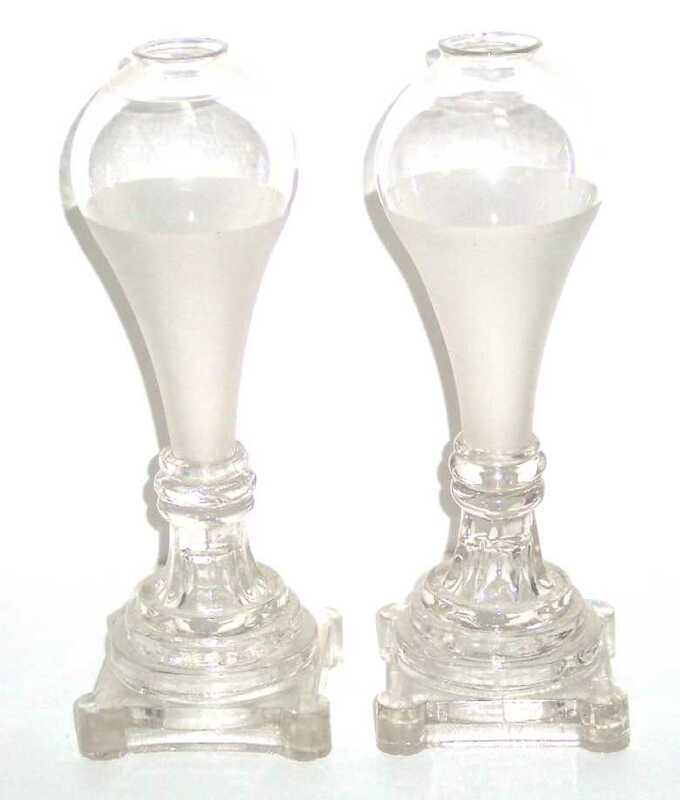 These lamps free blown frosted bulb lamps would have utilized the cork tube drop burner patented by Jarves on February 2, 1822 and would date to that period. The lamps have a pressed base and are in overall very fine condition. One lamp has a tiny nick at the top. The lamps are 9" high.